Reliable monitoring for encryption safety. KeyChest has had a RESTful API for quite some time. Once we decided to integrate KeyChest via a certbot hook, I realized that we needed something much simpler. The question was whether we can do network requests from Linux scripts without unnecessary dependencies. This piece of code works in most popular Linux shells (bash, ksh, …) and it now works with KeyChest as well. We can now also share the first renew hook – you just copy it to a certbot folder (e.g., “/etc/letsencrypt/renewal-hooks/post” ) and that’s all to it. networking – no need for curl or other networking tools; a simple TCP abstractions in bash shell. 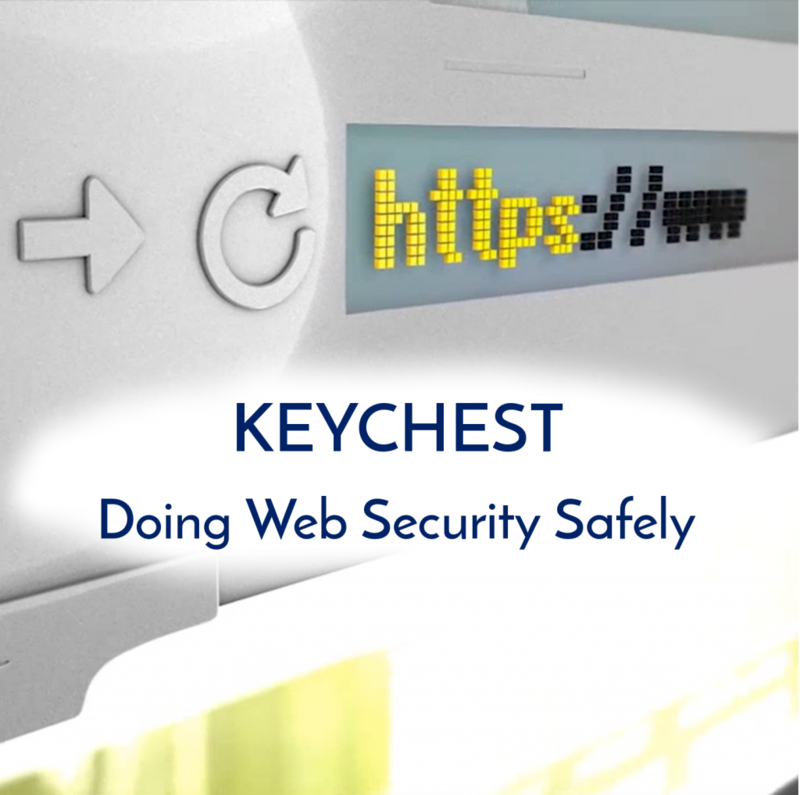 What drives the design of KeyChest interfaces is simplifying the distributed part of the integration. While this may mean some additional CPU load, it saves your time. The simplest integration with certbot is via its “renewal-hooks” folders. One can add a number of shell scripts, which will be called during certbot’s “renew” command. You can use command line parameters to specify additional hooks with any of the certbot calls, but being able to just copy a file to the right location is much less intrusive. The downside is, that certbot is far from easy for “enterprise” environment. It doesn’t provide any information provided as command line parameters, nor other variables it either loads or computes as part of its processing. As a result, we decided to extract domains from certificate requests from log files, just like we extract your email support from certbot configuration. The email is however more interesting. These options allow exploring a range of possible integration scenarios and provide a background to develop the most suitable approach that will scale with your needs. KeyChest offers just three API calls providing for a flexible integration into end-to-end monitoring. echo $RESPONSE # this will return "data 28a7e10-1fea…"
status – consisting of a string (ok/error), numerical code (200 for ok), and a human readable string. I hope you will find this useful. 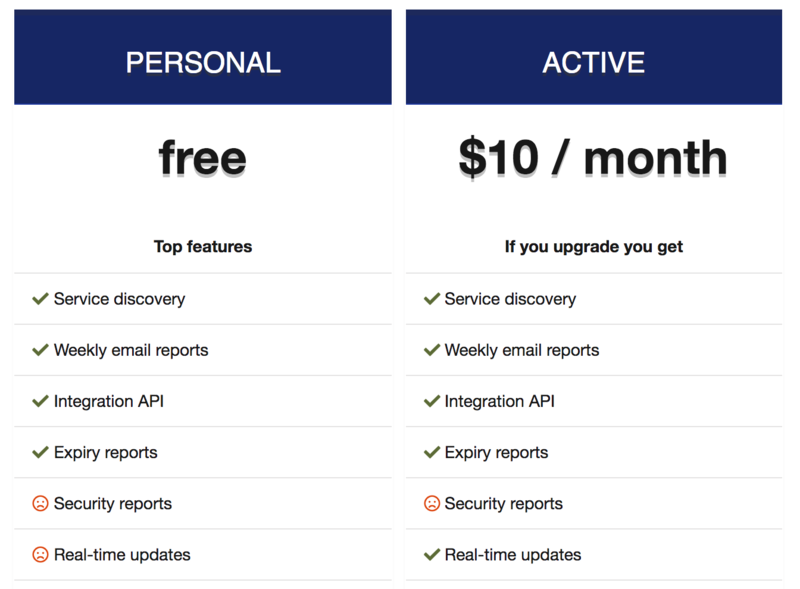 Any questions, get in touch – [email protected] We’d also be happy to pull your changes, versions, improvements!